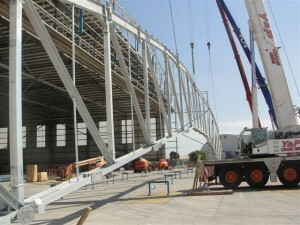 REIDSteel provided the existing Hangar for Lufthansa Technik Malta (LTM) back in 2008. A new Maintenance, Refurbishment and Overhaul (MRO) facility was essential to enable LTM to grow their business into a world class company and their original hangar was already restricting their activities for the overhauling of aircraft, from the large number of different fleet operators requiring their services. 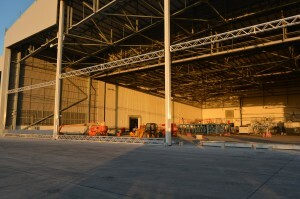 The 2008 project consisted of two ‘wide-body’ hangars, together with one smaller narrow body hangar (information relating to this project can be found here). However, by 2013 the aircraft servicing market had evolved and there was a greater demand from the wide-bodied sector than previously forecast. 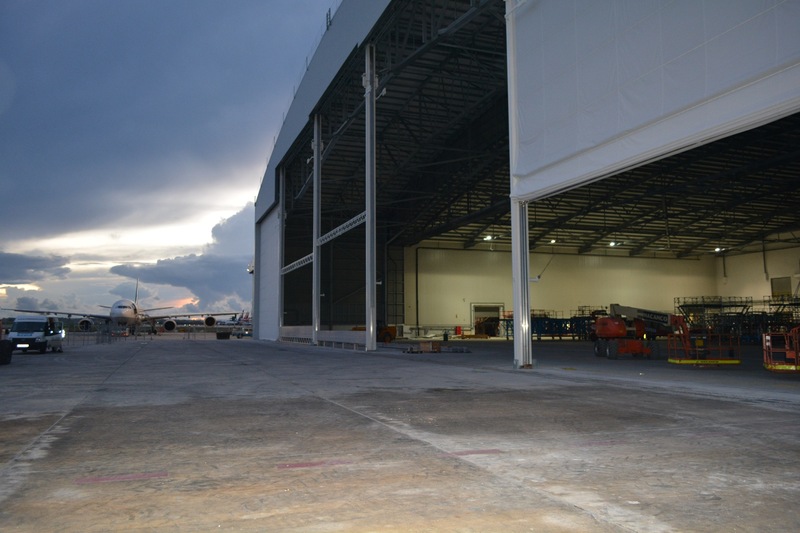 LTM approached the team at REIDsteel with a brief to adapt their narrow body hangar into a wide body hangar. 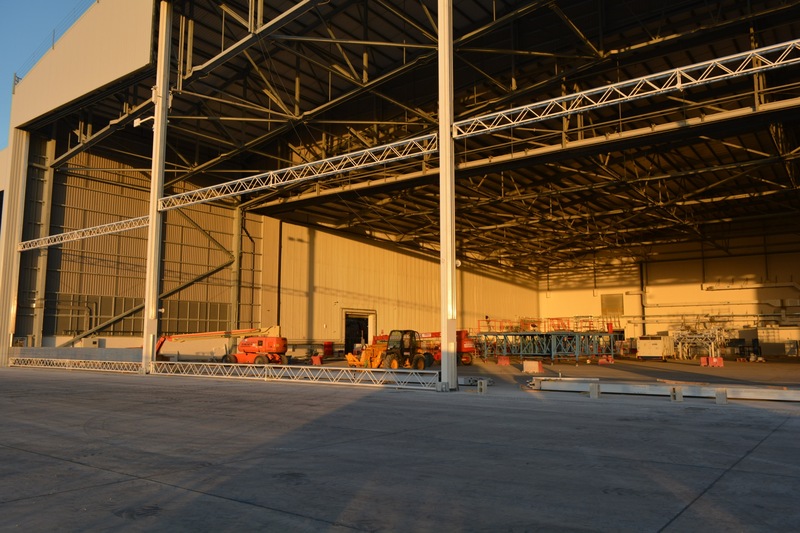 The scheme had to be cost efficient and provide LTM with total flexibility when it came to accommodating wide and narrow bodied aircraft simultaneously within the hangar. As with the 2008 hangar, LTM appointed Innovative Architectural Structures (iAS) of Malta, to act on their behalf as Project Managers and Consultants. As a result, it was the tried and tested team that proved so successful in the past, which would be employed to deliver this new scheme. However, with this project there was a slight twist. REIDsteel were not only employed to design and supply the structure, but we were also contracted to erect the extension too. Whilst REIDsteel often have a number of Erection Supervisors working overseas, managing separate projects with local contractors and workforces, to erect our structures; sending an entire team overseas was certainly extraordinary. Another constraint imposed on the design team centred on the existing apron. The new extension was to be constructed on top of this. However the apron constructed in 2008 could only accept shallow excavations, which led REIDsteel to recommend that a fabric curtain type door from Megadoor be used. This type of door needs less intrusive civil-works than a ground bearing slab-sliding type of hangar door. The Megadoor still requires a certain amount of ground works, as it is essential to take rainwater away from the bottom of the doors. Not only is there the rainwater running down the outside face of the doors to contend with, but also the rainwater collecting on and running across the apron area. All of this water has to be diverted away from the door zone to help minimise the risk of water ingress beneath the door and across the Hangar floor. 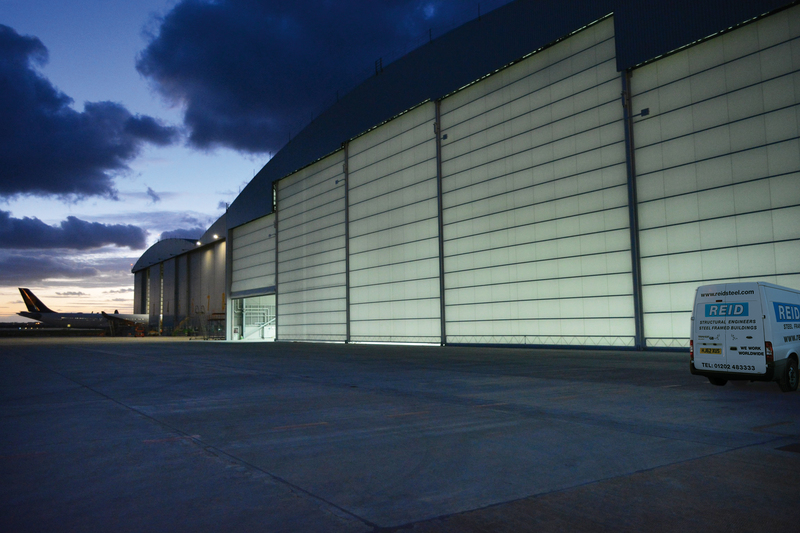 The end result is a very neat and hugely accommodating extension, incorporating translucent door fabric to allow diffused daylight into the hangar. All aspects of this extension work perfectly, including the ridge-vent and wall mounted louvres, which help to provide a comfortable and productive working environment. The entire project was successfully delivered and erected on time, with LTM’s Project Manager commenting, “Many thanks for the handover last week and for conducting such a smooth running project till the end. It was a very professional job all the way and it was a pleasure to have the opportunity to work together again”.